Finally! after a long time the new version of the Firmware for the interface SIO2SD is realesed under GPL Open-Source. Configuration is now available from Atari Screen – press K3 key (no need to disconnect the cable from the SIO). Loader for the executable files has been replaced with a new version. 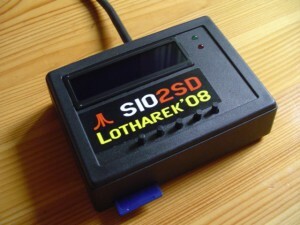 SD2IEC is a hardware mass storage device using an SD/MMC card and interfacing with the IEC bus. It is based on the ATmega644 microcontroller from the Atmel AVR microcontroller family. The most prominent use of SD2IEC is emulation/replacement of a Commodore-1541 disk drive for a C64. Hardware and the microcontroller’s firmware is available as open source (GPL). Bugfix: Extension hiding works again with names >12 characters. Bugfix: Increase data hold time during standard TALK. Testing aid: card detect-to-LED function. Last firmware version: 2.0RC5 is now downloadable from the download page. You can access them through http://svn2.xp-dev.com/svn/1541UltimateII/. Bugfix: Rename was broken on FAT. Turbodisk is now disabled when running on internal RC clock. Bugfix: Filling unused REL records used wrong offsets. Bugfix: Unbreak case-insensitive matching of FAT file names. Bugfix: Fix raw directory mode for D64/D71/D81. Bugfix: Tell the display about REL files too. Add preliminary support for the ATmega1284P. Bugfix: Non-REL P command parameters now match README. Bugfix: Reading after EOI behaves correctly now. Red LED only active while unwritten data in memory. New fastloader: ULoad Model 3. New fastloader: Epyx FastLoad cartridge. 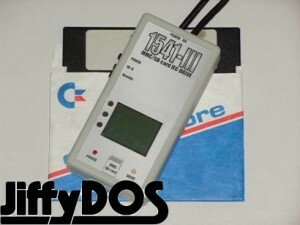 “display disk images as directories”-mode. Build system doesn’t require gawk anymore. Firmware written primarily for the DivIDE interface, maybe for others in future. Does not need a system file to work, common BASIC commands and FAT driver on ROM, system file loaded from boot filesystem will have additional commands, etc. Bugfix: Really prevent random corruption on FAT32 media. Bugfix: Free buffer after copying files. I have found some Firmware Roms of vintage Disk Backup System for Super Nintendo and Megadrive. SID player has been added. Epyx Fastloader cartridge has been added. Support for (custom) Ocean and System3 cartridges added. Bugfix: Prevent random storage corruption on FAT32 media. Bugfix: Image files not mountable if read-only file or media. Bugfix: Do not clear error channel if sec. 15 is closed. Add a dummy RTC read during init (to update year if required). Enable I2C RTC support in LarsP configuration for Final Expansion 3. Acknowledge ATN during initialisation to stall C64 if required. 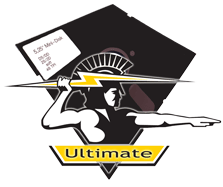 1541 Ultimate Firmware v1.7 will be released very soon! Support for loading your own cartridge from SD. Freezer problem has been addressed and fixed.